obviously march has come and gone. happy april fool’s day everyone! no fooling here today though, just a recap of what i read this last month. 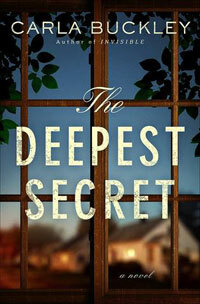 The Deepest Secret by Carla Buckley / ★★★★ / I really enjoyed this one. This follows the life of a young boy who has a rare genetic disorder that makes him incredibly sensitive to light. Since he really gets to “live” at night, he peers in his neighbors windows and witnesses the world around him through the secrets hidden behind closed doors. I can’t say it left me with any lasting thoughts, but it was a nice, light read. 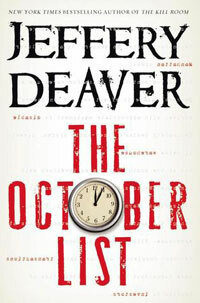 The October List by Jeffrey Deaver / ★★★★ / This book was backwards. Literally. It begins at the end of the story, and works its way through the events that lead up to the end. 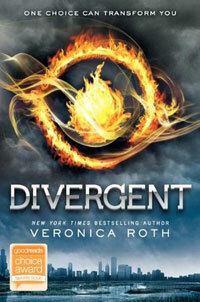 Whew, this book was fast paced and I got through it in about a day. I wasn’t expecting to be super into this, but it really moved quick and was super compelling since the twists and turns were pretty shocking. 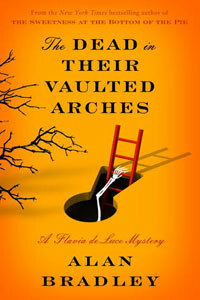 The Dead in their Vaulted Arches by Alan Bradley / ★★ / This gets such excellent reviews that I was shocked to not get into this book. I gave it the ol’ college-try though, and just wasn’t engaged. I haven’t given up – I am going to track down the first in this series and see if I just need to read more of the series first. 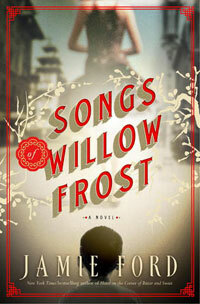 Songs of Willow Frost by Jamie Ford / ★★★★ / If you haven’t read Hotel on the Corner of Bitter and Sweet, you’re missing out. Both of Ford’s novels have really captured me! What Ford is really strong at is setting the scene. He draws a lot of details in his books around the place and the time period, which are impeccably accurate from what (perhaps little) research I have done about the Seattle area in years past. I really liked the estranged mother-son relationship here, and the portrayal of the characters felt real and true to the time period. This was a book club pick, as well as one I had wanted to read, so I was pleased to enjoy it! My book club… well not so much, but that’s just the way it goes sometimes. 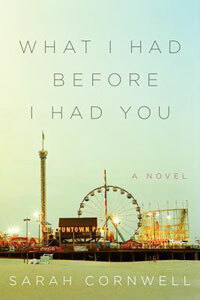 What I Had Before I Had You by Sarah Cornwell / ★★★ / I was a little surprised (and disappointed) in this book based on the reviews I read. People wrote about being swept away by the emotions and difficulties the family faced… I’m not sure, I just didn’t feel it. While the subject (mental illness, specifically Bi Polar Disorder) is hard to get right especially with multiple affected generations, it just didn’t feel as real as I was hoping. I liked it, just wasn’t quite all there for me. 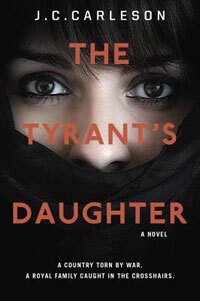 The Tyrant’s Daughter by J.C. Carlson / ★★★★ / The story follows a young immigrant girl in America, who comes from a royal background that’s been torn apart by war and murder. As you can imagine, Laila feels quite a culture shock and has to figure out who she really is, whether her heart is still in her war-torn home country like her mother, who is desperate to re-live the past, or if her future is in America. I really enjoyed the characterization and living through Laila’s eyes at such a critical time (and age!) in her fictional life. Stay tuned for the rest of what I read in March next week! What have you been reading lately?xo. How do you read so many books?! I have been in a reading slump lately, I need to get myself back in gear! my secret: audiobooks! i listen to them at work when i’m doing mundane tasks and always have them on in the car when i’m driving! Wow, you read quite a lot of books last month! Well done! A lot of these sound awesome and I’m going to add them to my growing to-read list! Right now I’m reading Cress, the third book in the Lunar Chronicle series and it’s amazing! If you haven’t already, you should read these books!! I love audio books as well – otherwise I would never finish a book! I am always looking for recommendations, so I will check out Hotel on the Corner of Bitter and Sweet and the Karen Joy Fowler book. Omg I can’t believe you’ve gotten through so many books! I’m struggling to read two a month haha. But I love these reviews, really to the point and easy to read. I am also glad you rated them with stars, I think I’ll start doing that in my book reviews too. if i wasn’t able to listen to so many of these on audiobook there’s no way i would have finished so many! my to-read list is insane. I love Jefferey Deaver so I will def have to check that one out!